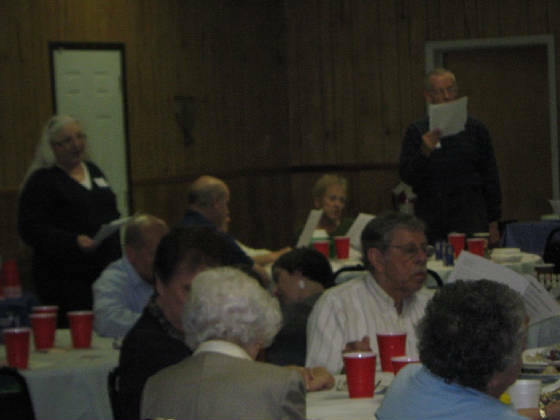 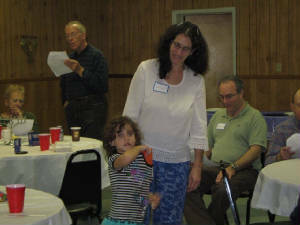 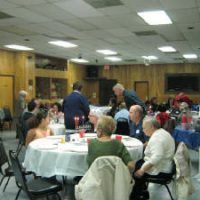 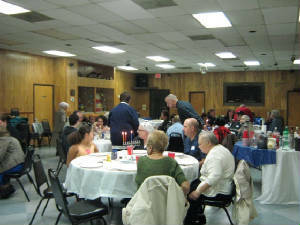 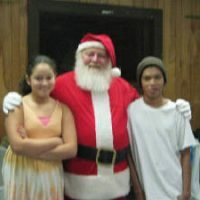 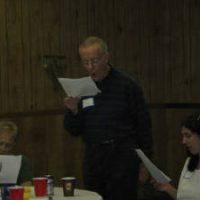 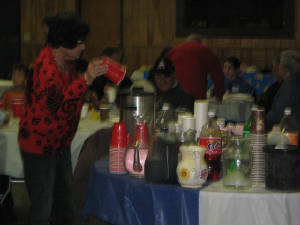 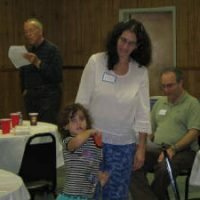 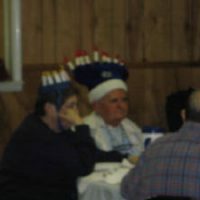 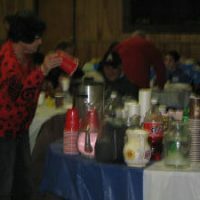 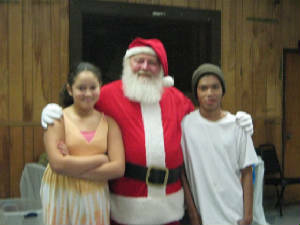 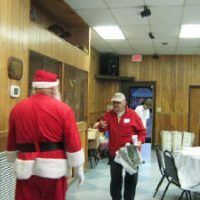 The 2011 Chanukkah Party was held on December 21st at the Knights of Pythias Castle Hall in West Ashley. 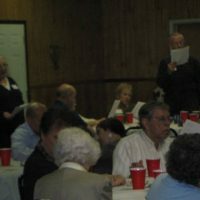 Forty-one people were in attendance. 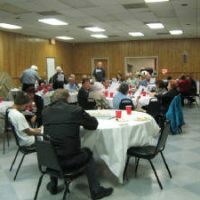 Great food and fellowship were had by all! 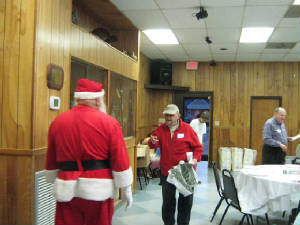 Many toys were doinated by attendees for the MUSC Children’s Hospital as well. 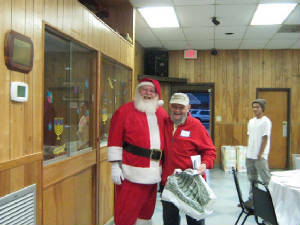 A surprise visit by SANTA (of all people, we think he got lost but was welcomed) happened early in the evening! 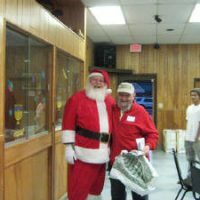 (YES the beard is real…Santa was played by Clarence KuyKendall who was enroute to the Hope Lodge Cancer center). 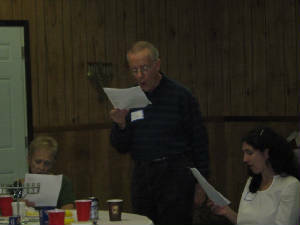 Tim Carle and Donna Spencer led us in song! 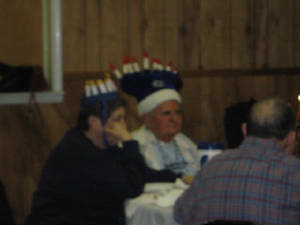 As we sang, ate and lit the candles we prayed for peace and harmony for ourselves, Israel and the whole world! 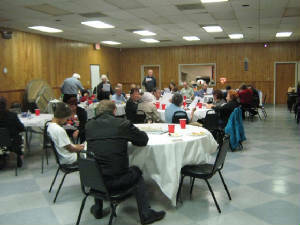 Many thanks to Marlene Williamon and Judy Carle for their coordination of the event and food!